Paii, the mobile payments joint venture created by Danish mobile network operators TDC, Telenor, Telia and 3, has been sold to Swipp, a mobile payments service owned by a consortium of more than 60 banks, after Paii came to the conclusion that the telcos are not as well placed as banks to take the platform forward. The decision to sell Paii marks a sea change in the carriers’ attitude to their role in mobile payments. “We have decided that payment or collecting payment or making payment is not any longer a bank service”, Peter Bredgaard, CEO of Paii, bullishly told us in March when the service went live. 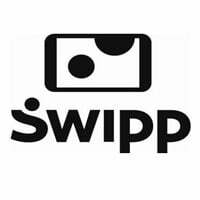 The solutions will now be merged to create a single mobile service for in-store and online payments as well as money transfers that will be launched through an upgrade to the Swipp mobile app in early 2015. “By combining our knowledge, experience and skills from both banks and telecommunications companies, we get a unique position to expand mobile payments in Denmark,” says Martin Andersen, managing director of Swipp. “Traders have access to a larger customer base and the consumer gets far more opportunities to pay by phone.